Beginning with the 2019 school year, schools will be required to conduct nine safety drills instead of 16. A new Kansas law is scaling back the requirements for safety drills in public and private schools. The move comes a year after the Kansas Legislature added crisis drills to prepare students for active shooters and other threats. 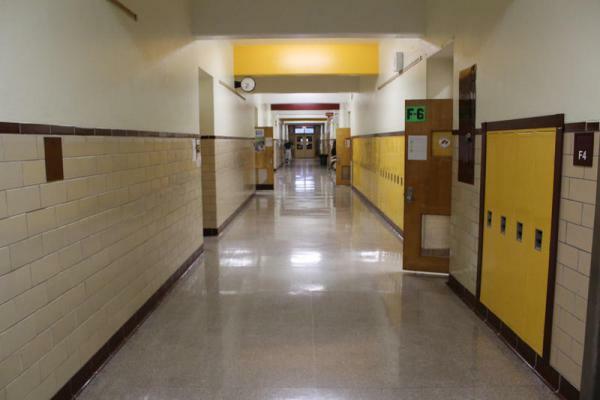 Kansas schools were required to hold 16 fire, tornado and crisis drills this year. That’s about one every two weeks. "Fire drills, tornado drills…those are fairly easy to conduct," says Terry Rombeck, director of communication for Andover Public Schools. "Crisis drills take a lit bit more effort. They take a little bit more organization planning, and they probably cause a little bit more disruption. "It’s a little bit more complicated to do one of those [crisis drills] than it is to do, you know, pull the fire drill, and have the kids get outside." Some educators and lawmakers said the frequency of the emergency exercises added to students’ anxiety and took away from class time. The new law mandates nine drills: four for fire, two for tornadoes and three for crisis lockdown scenarios. Rombeck says the change appears to be a good balance. "We feel like nine drills in a school year is a good compromise number," he says. "It really should allow us to practice what we need to practice in the event of an emergency without having it interfere too often with classroom instruction." Rombeck says the Andover District uses the crisis drills to prepare students for a variety of possible emergency situations beyond active shooters. "What if a staff member fell ill in the hallway and we needed to keep kids in the classrooms while EMS dealt with them? What if there was a chemical spill and we needed to keep kids away from that? What if something happened in the neighborhood where we couldn’t go outside for recess?" he says. "It’s all sorts of different things that could happen, so we want to be prepared for all those situations." Gov. Laura Kelly signed Senate Bill 128 into law last week. The Kansas Association of School Boards and the State Fire Marshal’s office support the changes. The new law takes effect on July 1.